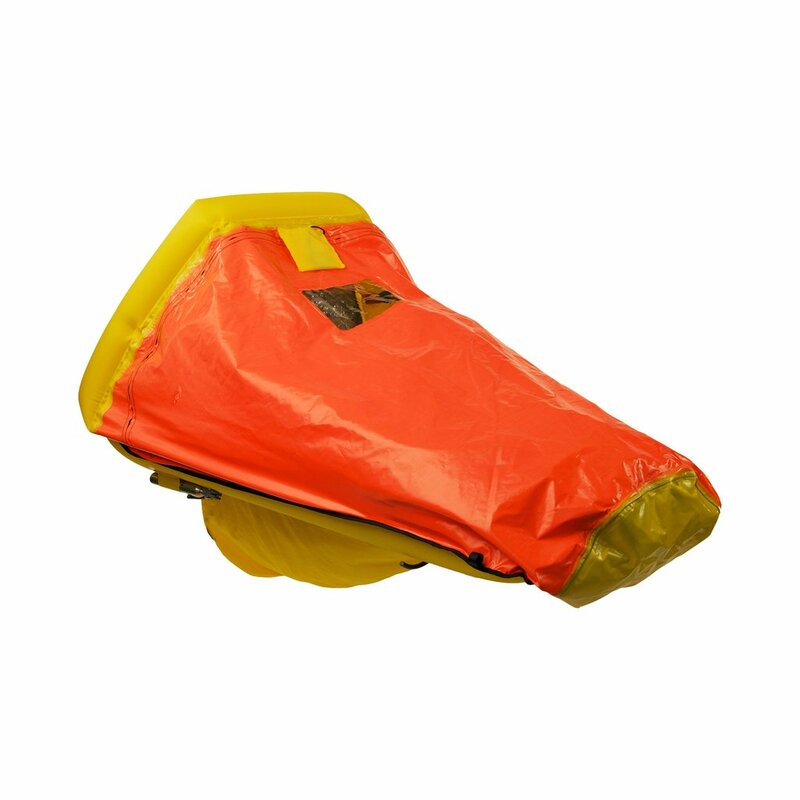 The ISPLR has a fully reversible buoyancy tube and canopy system. The low slung floor enhances seating comfort and stability. Whereas the pressure-relieving U-shape design adds functionality in high heat flight operations. 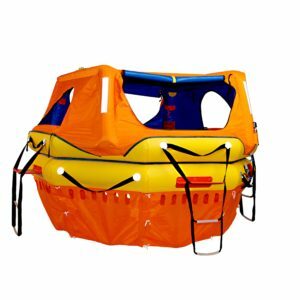 The U-shaped design allows the raft to be fully reversible. 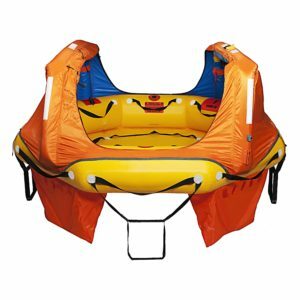 The allows for quick, easy entry from the water whichever side is up. 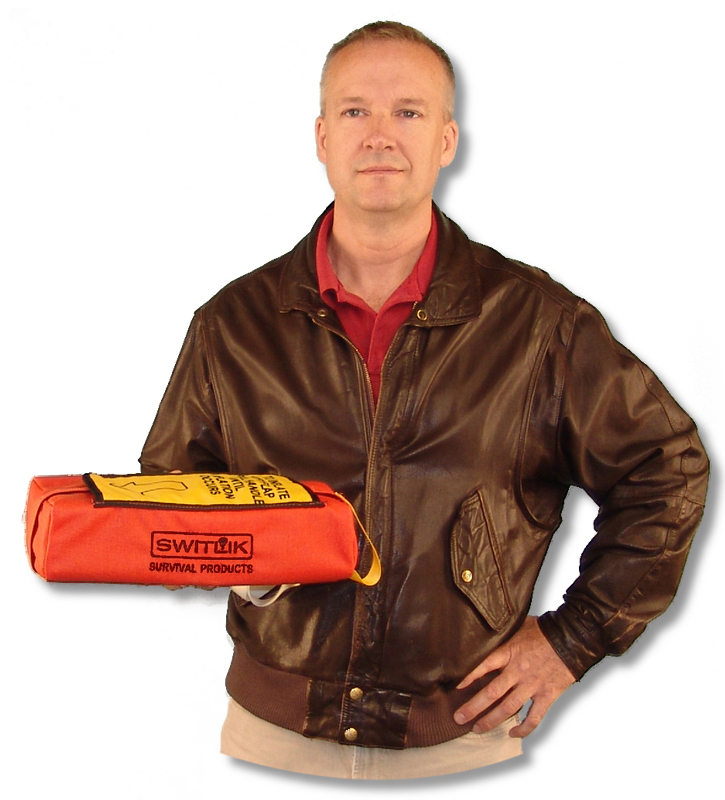 With the sea anchor deployed, the ISPLR is designed to float facing downwind. Allowing the canopy to remain unzipped except during extreme weather conditions. The low slung floor design allows seating at a slight recline, lowering the centre of gravity well below the waterline, increasing stability while providing full back and arm support for added comfort. The brick pack is only 35cmL x 20cmW x 13cmH weighing only 3.4kg. The vacuum sealing option provides a 5 year service interval.